If you’re interviewing for an SEO job these days and you end up talking about the importance of meta-keywords or keyphrase density, you deserve to be laughed out of the building. Being an SEO in 2013 means something entirely different than being an SEO in 2001. It’s even dramatically different compared to just a year ago! Recently, a lot of SEOs wanted to curl up into a fetal position and rock back and forth slowly when Google made its “100% (not provided)” announcement. But the clever ones began to realize that being so keyword-centric in terms of measuring the effectiveness of SEO-strategies was short-sighted. Others began to find ways to piece together and analyze this missing data. The rapid pace of change in this industry and the need to keep up can be a huge burden for a lot of people. If you are not keeping up with the latest trends and algorithm changes, then you are going to be behind your competitors who are absorbing this information. Bottom Line: If you don’t have the energy and flexibility to stay current, you need to reconsider if this field is a good match for you. I’ve been through enough enterprise-level website re-launches and technical site audits to know how crucial having an eagle eye is. Forget to add your tracking code on a subdomain? A bad auto-generating XML sitemap? CMS messing up redirects on aliases? Error on your robots.txt file? Being able to diagnose site issues impacting organic search performance requires being able to find the needle in a massive haystack. And if you’re an agency SEO you have to be able to find multiple needles in many different haystacks – every day! It can be daunting to sift through tons of code and crawl errors to get to the root of the issue in order to fix it. Bottom Line: Great SEOs love to help others solve these puzzles and strive to figure them out faster. Oh, so you’re on the first page for a high traffic term? Good for you! Now what? Even those who find success can always find other areas to improve on. And of course – just because you’re getting more organic search traffic to a site doesn’t mean it’s the right audience or you’re adding real value to the business. There’s no room for resting on your laurels as an SEO. Because of how this industry has evolved it’s now a necessity to expand your skillset and expertise to keep advancing in the field. Bottom Line: Good SEOs aren’t afraid to dive head first into helping with things like conversion optimization, advanced analytics reporting, user experience, or content strategy. Those numbers in analytics? Those are human beings! Human beings like you and me. We search for things online every day to find answers to our questions and problems. We hope the results on the first page answer them. When they don’t? We get frustrated. 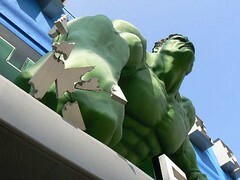 When I have trouble finding something through search engines it makes me feel like Hulk smashing the world. Modern search engine algorithms are developed to weed out the junk. A good SEO doesn’t “game” or “trick” search engines. White hat SEOs know that the risk of deindexation far outweigh any short-term ranking benefit. The Internet is full of enough garbage as it is; why would you make it your job to keep adding to the massive virtual trash heap? Bottom Line: Great SEO strategists connect human beings to worthwhile content and help worthwhile content get found by those human beings. Do you have what it takes to be a great SEO? Come work with us! Charles River Interactive is hiring.